According to the teaching this morning in what way DID the arrival of Jesus bring peace on earth? According to the teaching this morning in what way WILL Jesus bring even more peace? What can you do to grow in your awareness and experience of the peace that Jesus offers? Talk together about the times and situations where you are most tempted to become self-focused and selfish. If necessary, ask each other for forgiveness and pray for each other. Talk together about people in your life who might be in need of a selfless act of kindness from you — make plans for what you can do for them over this week leading to Christmas. What kind of people qualify for Jesus' Arrival? What are some things you were hoping God would do for you? Commit to making these things a daily prayer list. Try matching these desires with specific Scriptures. Pick one day a week to fast during Advent - feel what hunger feels like. Do you long for God like you long for food ? Carve out a 15 minute block one a week to be in silence with God. Ask Him to speak to you, and just listen for Him in your heart. 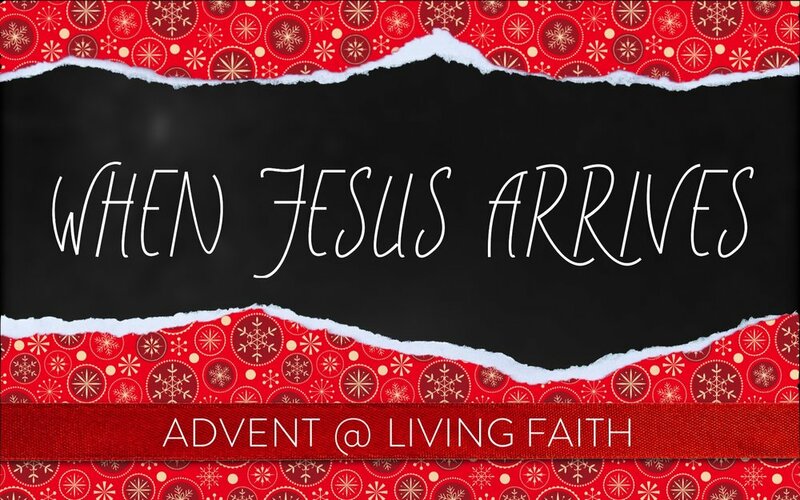 What is it like when Jesus Arrives? Carve out a 15 minute block once a week to be in silence with God. Ask Him to speak to you, and just listen for Him in your heart.